For the second workshop of this program, students were first asked to analyze and prepare a short presentation based on the questionnaire and photos from Monday’s fieldwork. They then worked on completing their final presentations according to the framework provided by Ioannis Gaitanidis. 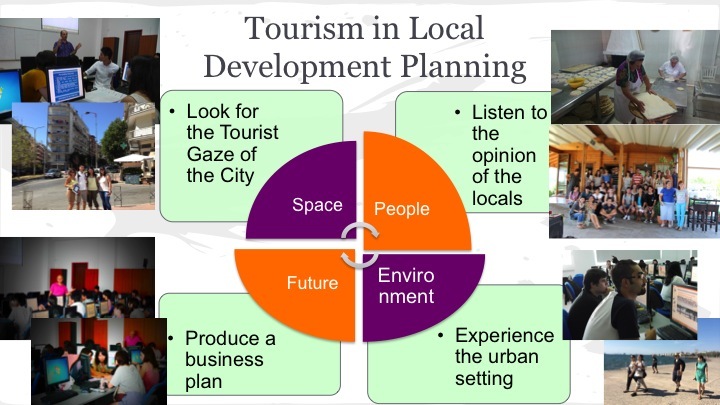 The four days of lectures and fieldworks were framed in the following way: in order to approach and consider tourism in local development planning, the students first had to look at the city of Thessaloniki and start thinking of how tourists see it by producing a map of the tourist gaze. They then had to listen and learn to interpret the opinion of the locals, taking as a case-study the village of St. Antonios, which is considered to be hosting a successful example of a tourism business which contributes to the local economy. The following week, they had to, this time, experience the urban setting and consider how it can be improved in order to make the life of both locals and tourists more convenient. Finally, students had to think of the future and put the knowledge and experience acquired during their fieldwork into practice, by producing a business plan for an imaginary tourist venture. 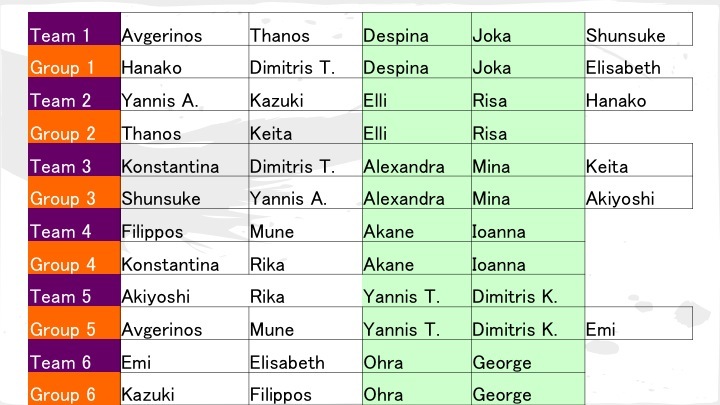 2)Seek the advice of common members (marked in green) in order to create one slide that attempts to link conceptually and/or contextually the content of the team’s presentation with that of the group’s. 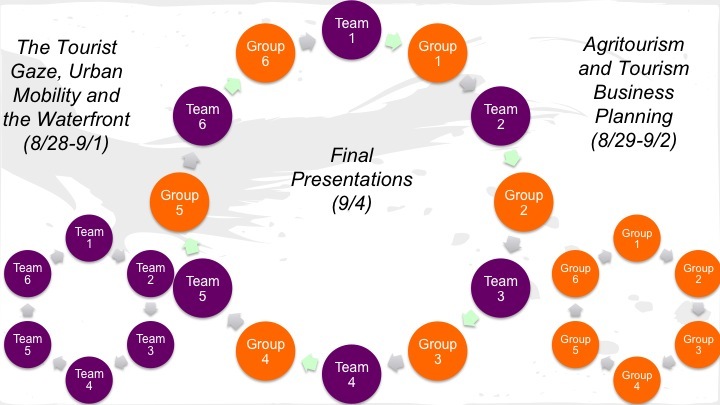 3)Create one concluding slide which summarizes your findings and links your work to the next Team/Group’s work. 4)Your final presentation should not exceed 20 slides. 10.00-13.00: Morning session- Complete Professors Papagiannakis and Thoidou’s exercises. 14.00-18.00: Afternoon session-Finish up Day 8’s business plan and integrate it into a final presentation.